Marc Anthony True Professional's Hydrating Coconut Oil and Shea Butter Treatment is a lightweight Oil Treatment that penetrates the cuticle to help nourish and hydrate your hair, leaving it smoother and shinier. 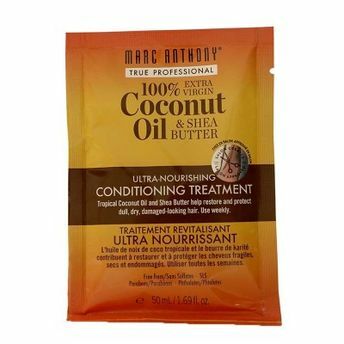 It protects from splitting and breaking, allowing hair to grow longer, faster. Vitamins A and E found in Shea Butter help to moisturize and nourish your hair. The coconut oil's hydrating properties soothe and soften hair. Biotin helps to promote a healthy hair and scalp.